Now that the GT Caddy app shows the lofts of all available clubs, we’re able to construct a grid showing all clubs, their distances, and their lofts..and also whether super or plus spin is available (+/-). While I look for the time to get that data into a grid, one fellow Golden Tee fan wrote them all down and took pictures to share with us — click each image for full size and check it out! Description: The Vulture Set combines low-iron hybrids with a long-distance driver. 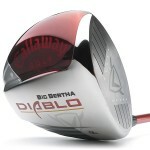 Description: Explode your drives with the Detonator Driver. This set features five woods including a rare 2-wood. Description: This set has 7 Woods for perfect long range play. Description: Inciter is a balanced set with the Lob Wedge for the short game. 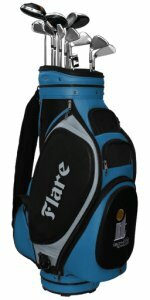 **Edited since there is no longer a 220 yard 7-wood as was offered in the Flare set previously. Imagine if you could take clubs from any of the 20 different bags that Golden Tee has assembled over the LIVE era, compiling your own personal set. What would you choose? First, let’s list off some of the factors that need to be considered in such an important decision. 1) The course – as with the current club set offerings today, you’d want to know the lay of the land before building your ultimate set. Do you need extra loft with that 9-wood on a particular hole, or do you need to run a 2-hybrid under some obstacle instead? For the purpose of this exercise, let’s say you need a set that best prepares you for anything Jim Z. might throw at you blind. 2) Distance – Are you a long hitter? If so, that extra distance on your driver could result in a couple extra strokes. If not, you’d be more comfortable with less gap in your club distance. 3) Loft – Can you control a 7-wood in a cross-wind, or would you rather hit a low-lofted club from the same distance? Lofted clubs require more skill when playing the wind, but irons or hybrids may leave you in a jam if you don’t plan ahead for elevation changes. 4) Irons vs. hybrids – How precise are you with the trackball, especially out of the rough? Hybrids have a friendlier touch out of tough lies but come with different distances to consider along with the rest of your set. Irons also cut more than woods or hybrids, requiring different knowledge of curve shots based on the type of club. 5) The wedges – How is your short game? Are you comfortable making distance adjustments with big gaps between your wedges? Do you prefer to have extra loft for tough green-side lies? Each additional wedge you need leaves you with one less club you could use to fill a gap at a longer distance. 6) Distance Gaps – Ideally, your clubs are spaced out enough such that each club has value but so much that you are left with long, uncomfortable gaps. Therefore, distance spacing should be an important factor in your club set selection. The longest driver, with the most loft for its distance. 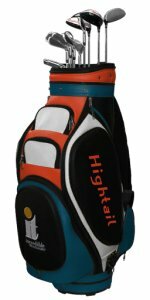 Carries farthest with a high tee, and distance certainly helps my game. With the extra distance on my driver, I wanted the 5 extra yards on my 3 Wood and 5 Wood as well to help close that gap on longer shots. I love the feel of the hybrids, and I like the distance gaps they offer me coming back down from the 220 7-Wood. I can muscle up a 4-hybrid or thumb a 7-wood to fairly comfortably fill that 30-yard gap. I opted for this club over the stock 150-yard 6-iron so that I have an even 15-yard gap between my 5-hybrid and my 7-iron. I chose the 8-iron from the Equalizer set to get an even 20-yard gap from my 7-iron down to my 9-iron. These were my best options to fill out the bag with wedges. A lob wedge was a must for me, and the gap wedge filled in the distance up to the 9-iron. So there’s my set! Not surprisingly, it’s a combination of the Ballista, Flare, and Hawk sets (which have been my favorites throughout the past several years), while also taking advantage of some of the different distances that clubs from the Equalizer set offer. 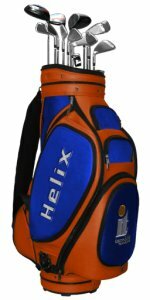 For now I’m sticking with the Flares as my blind-course option, but maybe there will be a day when we can assemble our own bag of clubs to attack the course at our personalized liking! What would you choose? Feel free to comment on other criteria you would consider in your decision and list out the club set that would best fit your game! Description: Play with 4 fairway woods including a rare 6 wood. Extra loft from farther out. Description: 2 Drivers! This set features both a high loft and low loft driver. Added strategy off the tee! 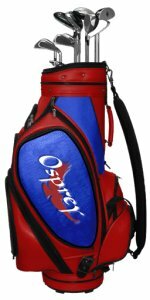 Description: This dynamic set features the Thor irons for greater backspin and roll. Includes the flop wedge for greenside control. Description: The Rebel set features 5 fairway woods and 4 wedges! Great loft for both long range and short distance shots. Description: The Peregrine hybrid sole creates more distance for midrange shots. The flop wedge offers great control around the greens. En Fuego: If you are one to struggle with your shots around or into the green, this might just be the perfect remedy! Equipped with four wedges and the game’s most stylish driver, this set offers up a unique sense of control for those who are already comfortable with their long-range game. Sand Saver Savior: This set is built for those who might battle tougher lies on a more regular basis. The low-friction coating on the club produces much longer shots out of bad lies (sand, rough, dirt, etc. ), while also offering up a very consistent set in terms of distance and limiting gaps. Kickin’ It Old School: Making its Golden Tee debut is the Hickory set. Equipped with a niblick, mashie, cleek and more, this retro set has the sound and feel that many of the older players will immediately relate to. 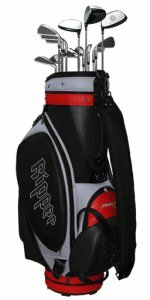 Best of all, even though you’ll be playing with a vintage set, the clubs performance will still be state-of-the-art. With the introduction of the dynamic distance indicator in Golden Tee Live 2010, players now get to see how differing conditions affect the distance of any particular shot. 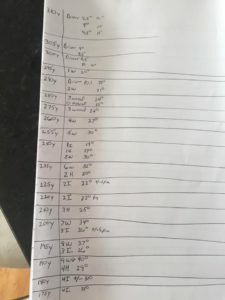 The amount of rain in combination with the lie of your ball triggers a formula that calculates the number you see on the distance marker with any specific club/ball combo. Sure, we all know that rain kills roll when the ball lands and that you can’t hit the ball as far out of a tough lie, but have you ever stopped to pay attention to all the situations that Golden Tee takes into account? I’ve been working on this project for a while now, and it’s still got a ways to go, but I wanted to report my findings thus far. 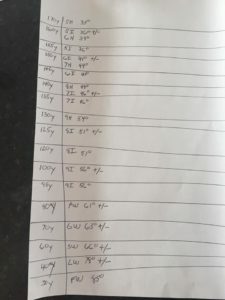 This attached file has a ton of information across many tabs, but I want to focus on how each specific lie/weather combo affects your distance. The tab I’m most interested in completing right now is the “X22s-Gamer2s + Conditions” tab (now Flares and Trackers). These are the clubs and balls I’m currently using on each 2010 course, and so I’ve started recording the distance that shows on the distance marker with each club in that set. There are many situations I haven’t come across yet, as you can tell. There are many things to note when looking at this data. The first thing that confused me is that you see a longer distance from the first cut (or “shortcut” grass that exists on several courses) than from the fairway! I asked around and found out that the ball is somewhat ‘teed up’ on the taller grass compared to the fairway, which gets the club under the ball better (also referred to as a ‘flier lie’) — so, that’s pretty cool that IT incorporated this aspect of golf into the game! You can see how mud cripples your distance, cutting it in half, while dirt, dust and sand cut off between a quarter and a third of your distance. 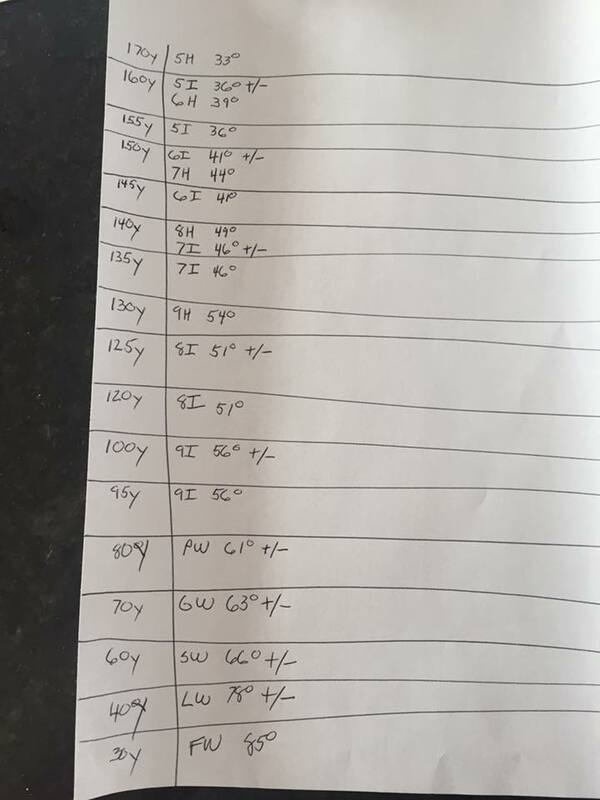 I never knew so many unique conditions on the course were measured so acutely! You don’t just have rain — you have wet, light rain, or heavy rain. And I’m sure I haven’t captured all the possible lies yet either (snow and ice aren’t included, for example, and neither is tall grass). And if you think you can find just one number constant and use that as a factor in which to calculate the reduction in distance — think again. I tried, and the reduction factor differs per club! And if you think about it, it should, because of how each club is shaped and functions. 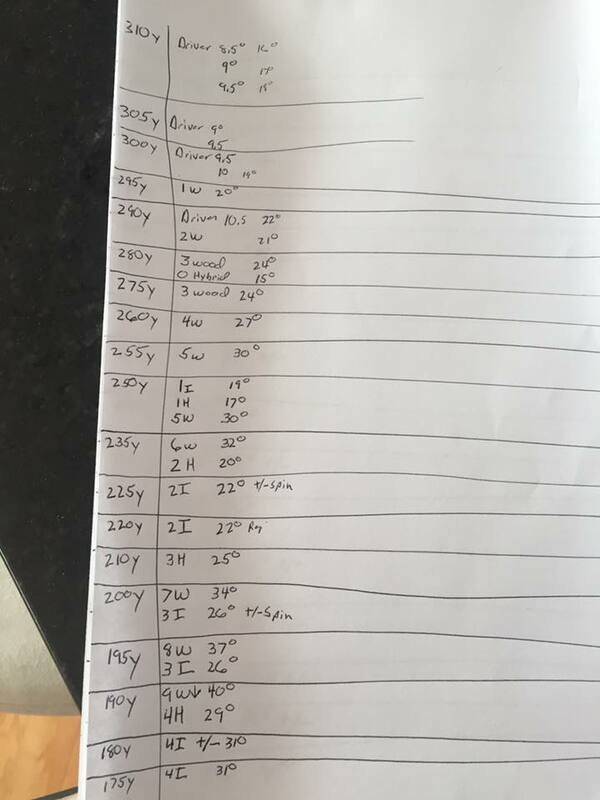 So whatever formula the guys at IT are using to calculate distance given these conditions cannot be easily cracked! Hopefully this article opens your eyes to the wonderful complexity of this game we all love. Let me know if you can help me fill in some of the gaps in my distance grids, and I’ll keep the attachment updated as I gather more data! Want to blast 400+ yard drives? Sure, you can do it with stock clubs and balls with the right conditions and proper A1/C3 technique, but obtaining the right equipment is one way to automatically add 50 yards or more off the tee. Let’s break it down, starting with the longest drivers amongst all the available club sets. First off, for straight shots off the tee, the D2 Distance (red box) balls from 2010 are the best. B2 hammer shots with these balls add 50 yards to your drive, so even though the distance indicator still only says 310, you’ll easily be over 400 yards using these balls with any driver above. When you combine any of these drivers with the other longest virtual balls in the game (2007 TL Distance (Blue box) or 2008 XL Extreme Distance (Yellow balls, red box)), your dynamic distance indicator will already be showing 326 off the tee! These balls add distance but don’t curve as well. Breaking it down a little further, the low-loft club set (2008 APEX FTX) probably gives you the best distance across all clubs in the set. Okay, so we’ve talked about distance on straight shots, but you can get even more distance using different equipment and hitting A1 or C3 shots off the tee. Using clubs and balls that create maximum spin upon contact creates the longest A1/C3 shots. The 2008 APEX PLUS and 2010 X-22 Tour clubs generate a ton of spin on curve shots. If you were to combine these clubs with the 2007 Quartz balls or the D2 Feels, you would get sick, uncontrollable spin on your shots and could generate some massive distance in the process. However, you probably wouldn’t be able to hold any greens because backspin or roll would react too aggressively. 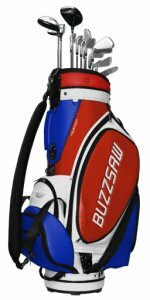 Ever hear of the pros playing the “funbag”? 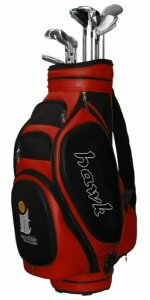 Well the original funbag is the 2008 APEX PLUS clubs with the 2008 XL Extreme Distance (yellow, red box) balls. This combination creates tremendous distance off the tee because you’ve combined high-spin clubs with distance balls, and pros can really crank out long drives with this set. 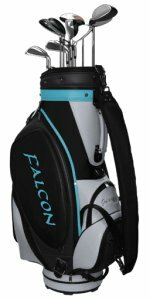 There’s actually a “Funbag 2.0” version now consisting of the 2010 X-22 Tour clubs and these same balls, and some pros prefer this set because it offers a lob wedge. WARNING — newer players should probably not be using these combos, because it’s still difficult to hold greens with the excessive backspin and roll (although the balls cancel out some of the spin from the club, making them manageable). It’s fun to crank drives off the tee though if you’re just playing around! Finally, every now and then there are holes that can give you a “ramp” effect for super distance. You’ll know it when it happens — the ball seems to jump off a ramp (usually in the fairway) gaining a lot of extra yardage. Some confirmed ramping holes are Heather Pointe #8 (lower fairway), Kangaroo #15, Summit Lakes #8, Sunny #13 (C3), Savannah #10 (can drive green with ramp! ), Southern #13 (can drive almost 500 yards with an A1 ramp! ), and Bella #9 (I’ve seen a 480 that didn’t stay on the fairway). I’ve also heard of a 1-iron going 417 after being skipped off the water in GT 2005. There’s also Whispering #8 (one went over 600 that landed in the water), that way uphil par 5 on Glacier (saw a buddy who was goin over 600 and slammed the last tree at the top) and the infamous Summit hole that had the “jetpack” guy (you could also ramp the top of that hill and get over 500 in the fairway). In conclusion, there are tons of possibilities for generating distance off the tee, especially if you have access to older versions of Golden Tee where you can collect club sets and stock up on balls. If you’re limited to 2010 equipment, use either 2010 club set with a 310 driver and the red distance balls for the longest straight shots, or the X-22 Tour clubs and the Gamer 2s or Ds Feels for the longest curve shots! Get to know the X-22s and Distance Balls! For most of my 2+ year Golden Tee career, I’ve had the pleasure of playing almost every round with the “old birds” — the 2005 hybrid set. These clubs are preferred by a large percentage of players because they provide a nice set of distance gaps and have a lob wedge, and in general the lower-lofted hybrids are easier to control than low-lofted irons. After playing several rounds on 2010, however, I’ve realized it’s time to make a change. Below you’ll see a breakdown of each course and you’ll learn why you should be playing the X-22s and the red distance balls on every course, with Monument Valley possibly being the exception where the D2 Feel balls could benefit a bit more. As you’ll see, the distance balls and the option of having a 7-wood or 9-wood available can help you shave strokes off a lot of holes in Golden Tee 2010! Off the tee: The 7-wood can make your tee shot easier on holes #5, #7, #9, #12, #15 (up onto The Great Wall), and #17. The distance balls can rarely make #1 and #16 driveable, they can allow you to drive past the square landing area on #4, they can allow you a more lofted club on #15 if it’s tight, and they can make #5 and #14 driveable where they might not otherwise be. On the approach: The 7-wood can make the approach shot easier on holes #2, #11, and #16. As a bonus: The 4-wood can be an excellent option on every hole on the back 9 except for #13 and #17! Off the tee: The 7-wood can make your tee shot easier on holes #8, #12, #14 and #17, and it can make #7 driveable where it might not otherwise be. The distance balls can rarely make #1 and #2 driveable, they make #4 a lot easier by allowing you to go over the trees, they can give you a shorter approach shot on #6 which helps over the river guarding the green, they can help you drive the second fairway on #11, they can help you drive the grassy pods on #13, they can help you drive the second fairway on #16, and they can make #17 driveable where it might not otherwise be. On the approach: The 7-wood can make the approach shot easier on holes #6, #9 and #11. Off the tee: The 7-wood can make your tee shot easier on hole #11. The distance balls can make #15 driveable, they can allow you to drive straight down the fairway on #5 for a shorter, unimpeded approach, they can help you drive past the neck of the fairway on #16, and they help with the tee shot on #7, #9, and #10. On the approach: The 7-wood can make the approach shot easier on holes #4, #10, and #16. As a bonus: The 4-wood can make #14 driveable with the distance balls in setups where the 3-wood clips the hill and the 5-wood clips the trees. On the contrary: Holes #6 and #18 would be easier with a 2-iron available. Off the tee: The 7-wood can make your tee shot easier on hole #12, and sometimes on #16. The distance balls can rarely make #1 and #15 driveable, they can make #9 driveable from the back box with a 5-wood over the top, and they can make #4 always driveable over the top where it might not otherwise be. On the approach: The 7-wood can make the approach shot easier on hole #10. On the contrary: The D2 Feels can rarely make #2 driveable. They can make the tee shot and approach shot easier on #5. They can really help curve your shot off the tee on holes #7, #14, and #16, sometimes making them driveable where they might not be with the distance balls. The 2-iron can also be an advantage on #14 and #18. Off the tee: The 7-wood can make your tee shot easier on hole #16 . The distance balls can rarely make #1 driveable, they can help set up an easier approach on #2, and they make it much easier to drive the green on #7 and #14. They can also enable you to use a more lofted club on #17. On the approach: The 7-wood can make the approach shot easier on holes #11 and #15. As a bonus: The 4-wood gives another option to drive the green on #18. On the contrary: The D2 Feels make it easier to drive the green on holes #4 and #18, and #16 can be much more difficult if the wind is in your face or blowing left. The perfect balance of distance and feel. This set combines additional power from long range, with the softer touch of the FT Irons. The irons in this set are a bit different — they go 5 yards less than the irons in other sets! Advantages: This set has the only driver that goes 310 yards with a 9.5 degree loft! Otherwise, it’s pretty standard, with the only gap being the 35 yards between the 9-iron and sand wedge (which is better than a 40-yard gap you see with other club sets). The irons go 5 yards less than in other sets, which helps create a more even distance gap between clubs. I always like having the lob wedge too! For amateurs looking to upgrade from the stock clubs, this is the set to use! Disadvantages: You may have trouble on longer shots requiring loft, and shots around 80 yards will be tough, but there are no big holes in this set, which is pretty solid. The X-22 set features the FT-9 driver and 5 fairway woods! The ultimate set for higher loft on far approach shots. Advantages: The only set of clubs containing 6 woods, you’ll be able to hit any approach shot outside 180 yards with high loft and good distance control. The 7-wood in this set goes 220, so you never see more than a 30-yard gap between any two clubs! And you have the lob wedge, which I always like to have. Disadvantages: Sometimes you don’t want to hit a 9-wood from 180 yards — you’d rather have the 4-iron! Fighting the wind will become an issue with these shots around 200 yards since you have given up the lower lofted clubs in most sets. The 4-wood doesn’t appear to offer much advantage since there’s not that big of a distance gap between the 3-wood and 5-wood anyway. This tour-style set features a lower loft driver, higher backspin and roll, and a lob wedge for short-game finesse. 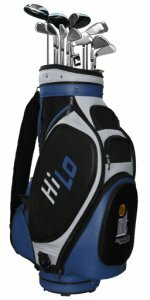 Advantages: With low loft and high roll, you’ll be able to hit some long shots with these clubs from many situations. High roll also means high backspin, so you’ll be able to apply extra spin both in terms of backspin on the green and with the curve of shots off the club in general. You’re allowed a little more creativity in terms of shaping shots with these clubs in your bag! Disadvantages: These clubs can be too hard to control for the average GT’er. Some will find that the backspin is just too much and it’s hard to hold greens because of it. You also may not be able to control your draws/fades as well because the curve/spin is magnified on everything. 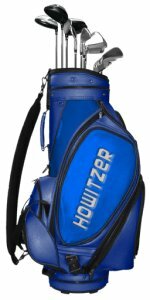 Advantages: This set is pretty much mandatory for Black Hills, where there are at least 2 holes that you’ll need the 7-wood or 9-wood to play. Those 2 clubs give you the value of height and distance. The A-Wedge is often a perfect club for Grand Savannah #17. This set allows you to hit long while still having high-lofted approach shots if desired. Disadvantages: There’s a 50-yard gap from your 5-wood to 7-wood, but you can compensate for that pretty easily by easing up on a 5-wood or hammering a 7-wood to hit around 225. In windy conditions, it can be hard to control the 7-wood or 9-wood, but you don’t have much choice if you’re at that distance. Overall, not a bad set to use, especially on Black Hills! Advantages: This set is good to use on most courses that don’t have a lot of elevation changes or steep pot bunkers. The hybrids are great for fighting off strong winds, and there are no big gaps in distance throughout the club set. Disadvantages: Missing a lob wedge is a big deal sometimes, especially when trying to shoot out of the pot bunkers on Bonnie Moor! Still, that’s pretty much the only disadvantage to this set. 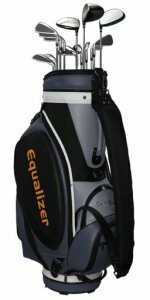 Advantages: This set has a great mix of clubs and can be played anywhere. You’ll be able to attack a 200-yard shot with either a 7-wood or 3-iron, depending on the loft required! Disadvantages: It’s strange having 2 different clubs that go 200 yards, and sometimes you’ll wish there was a bit more gap in the distance for those longer shots. 60-yard chips also become quite challenging, especially when a lot of wind is involved! Advantages: The distance of each club is well distributed from top to bottom, and players who like using a lot of spin can really benefit from this set by playing extreme angles and utilizing lots of roll and backspin. Disadvantages: You lose 10 yards off your drives with the standard driver (not so bad), and angled approach shots may be more difficult to control with the spin potential (sometimes too much backspin is created for your liking). Short chips are also more difficult without a lob wedge. Advantages: This set helps you clear high obstacles, especially the 7-wood from 200 yards, and that can often save you some strokes. The lob wedge is a great extra club to help with distance on shorter chip shots. Disadvantages: You lose a lot of distance off the tee (20 yards) with the high-loft driver. There’s a 50-yard gap from your 5-wood to your 7-wood and a 30-yard gap from your 9-iron to your gap wedge, so you’ll have a lot of “in-between” shots during the round, which are uncomfortable. Advantages: You can get great distance off the tee and from the fairway with the low-loft driver and 3 other clubs that travel 250+ yards. The sand wedge and lob wedge are great for shorter chips. Disadvantages: Missing a 4-iron creates a big 40-yard gap, and you’ll often wish you had that club. There’s another big 40-yard gap between the 9-iron and sand wedge, so you’ll have some difficult “feel” chips with your 9-iron. You won’t be able to create quite as much spin either with this set. Finally, be careful with the 1-iron, which barely gets off the ground (very low loft). **NOTE — These clubs are no longer offered for sale with GT 2013, but if you can find a 2010-12 version, you can buy them there to carry forward.